The westernmost bridge on the Angels Camp Bypass is squatter and less dramatic than its sisters. However, the bridge's shortness gives us an opportunity to see the isolation at the top of the column flares designed to make the columns act as if they were prismatic. Also, we can see all the rocks scattered around the bridge embankments, which is strange since this is not a river crossing. 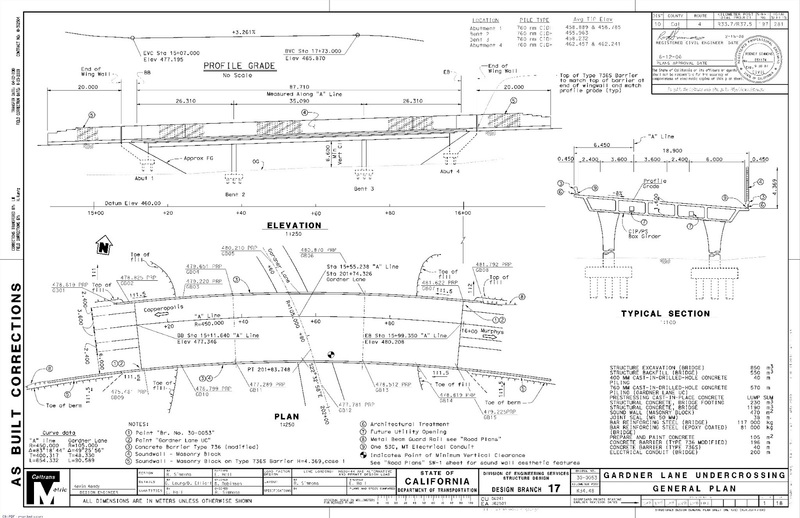 The Gardner Lane Undercrossing is a three span prestressed concrete box girder bridge. It is 288 ft long with a 115 ft long center span. Like all the bridges carrying the Bypass, it was built in 2009. 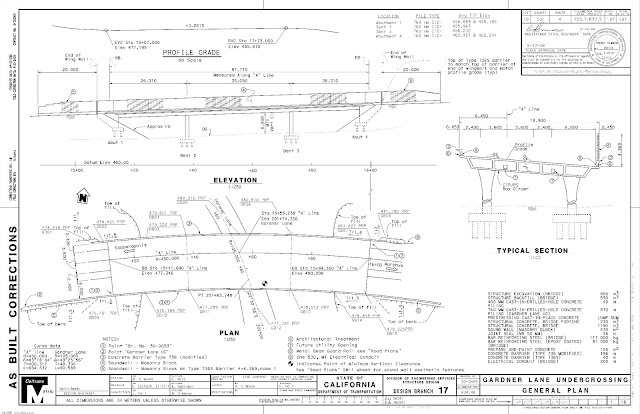 Today, I asked Kevin Keady (the Project Engineer) if the Angels Camp Bypass Bridges were cast-in-place or segmental and he agreed they were cast-in-place. Calaveras County, California Bridges; Gardner Lane UC by Mark Yashinsky is licensed under a Creative Commons Attribution-NonCommercial-ShareAlike 3.0 United States License.